We are working to ensure that you have resources that support the new Psychology specifications. 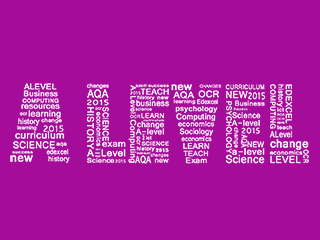 To keep up to date sign up to our Psychology eupdates. 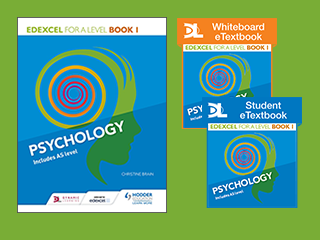 Our Student Books and Student eTextbooks have been approved by AQA for the 2015 A-level Psychology specification and are supported by a range of print and digital resources. We’ll be working together on print and digital resources that support teaching and learning needs, with sample material available from September 2014. 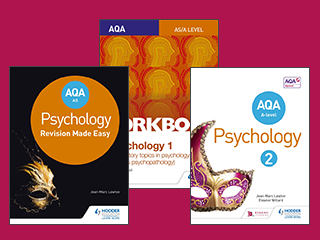 These guides will get students through their Psychology A Level from start to finish, available for AQA (A) AS, AQA (A) A2, OCR AS, OCR A2 and WJEC AS Psychology. 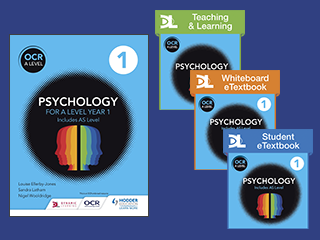 We have been selected as OCR’s Publishing Partner for GCSE Psychology to ensure you have resources that support the new specification. 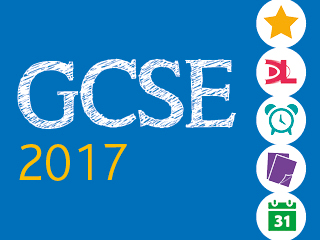 Topical articles, cutting-edge research and expert exam advice will deepen your students' subject knowledge and help them develop independent learning skills. Your survival guide for every topic, two pages at a time.